U.S. oil producer Hess Corp has no intention to sell its assets in Asia as the region provides good, steady cash flow and a stable political environment, a senior company executive told Reuters on Tuesday. While the company sold assets in Thailand and Indonesia a few years ago as it saw little growth in those two countries, Southeast Asia still plays a key role in its portfolio, said Greg Hill, president and chief operating officer of Hess. "We have 20 years of investment opportunities that have provided good stable cash flow for us," said Hill on the sidelines of the Asia Pacific Petroleum Conference (APPEC) in Singapore. "But Malaysia, we supply 25 percent of peninsular Malaysia gas ... It's a key core holding for us and we have no interest in selling Southeast Asia (assets)," he said. 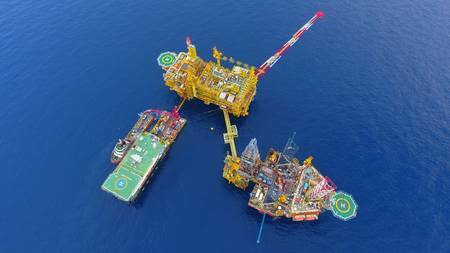 Hess has a collection of gas fields in the North Malay Basin offshore Malaysia and in the Malaysia-Thailand Joint Development Area as a 50 percent equal partner with Petronas. Reuters reported last month that the Southeast Asian offshore gas assets of Hess, estimated to be worth as much as $5 billion, have attracted takeover interest from firms including Thailand's PTTEP PCL and Austrian energy group OMV AG , citing people familiar with the matter. OMV, which was one of the candidates to buy Hess assets in Malaysia, instead bought into Malaysia's Sapura Energy. In 2014, Hess sold its Thai assets to PTTEP for $1 billion, and its Indonesian assets to state-owned gas utility PGN for $650 million. Hess is currently also developing large offshore oil projects in South America and U.S. shale oil holdings.